At SpringCM, we're always striving to improve usability and hone our tools to meet our customers’ most current contract and document management needs. Our latest release has taken into account feedback from our users, to produce a range of enhancements that make for even more effective processes and user experience. Here are the October features we’re most excited about. Determining who has to see a contract or document, what they have to do with it and who it goes to next can be a tremendously complicated thing to wrap usersr mind around. No matter how complex and nuanced usersr mental flowchart of all the desks a contract has to land on before it's ready to go, our latest release makes it easy to represent on screen. We now offer a graphical, intuitive way to represent document routing, define variables and set notifications in response to particular events – like systemic errors or an individual being out of the office. And it doesn't require that a point person learn a complex coding language – it's all drag-and-drop, gives you the ability to represent a workflow on the screen and, just as easily, turn it into an automated reality. 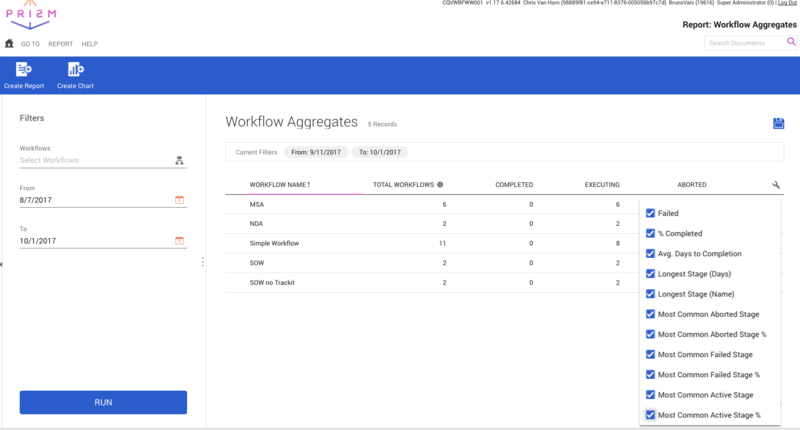 And if you've got numerous departments that need to handle documents differently, workflow designer allows you to name, edit and delete individual workflows – so anyone who could benefit from using the product can take advantage of it. A streamlined, easy-to-use front-end is just as important as being able to facilitate smooth document workflows. Our updated dashboard, now in beta, puts users in more convenient control of their documents and workspace. On the contract side, more advanced search options increase the ease with which users can pull up those needle-in-a-haystack documents that sometimes elude more general search terms. And users can rearrange and resize widgets to put the tools you use most frequently up front, so they’ll never spend time digging for the function they need. Everyone's talking about analytics these days for a reason – it's because hard data can give you unprecedented insight into how you can tweak a process to make it more efficient. And contract management is no different. 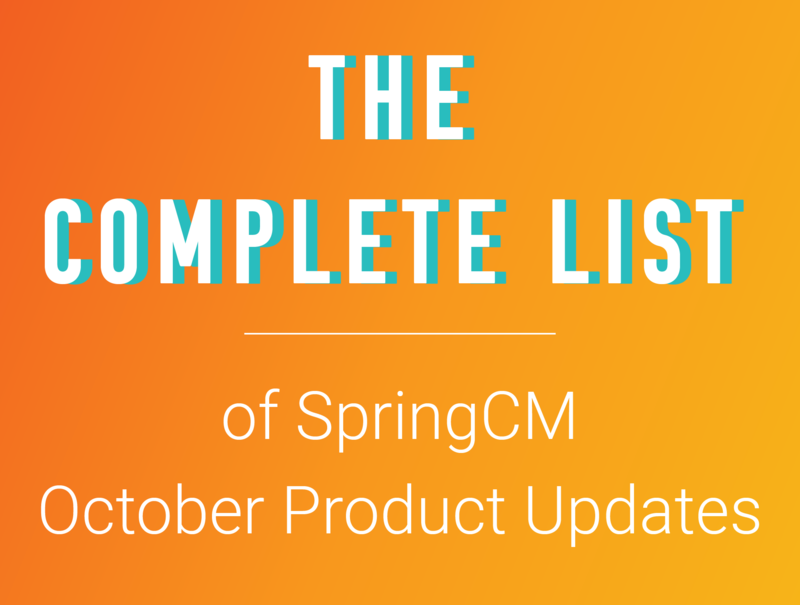 SpringCM is now doing a closed beta of two reports – a workflow aggregate report and a workflow details report – that promise to give our users unparalleled insight into what workflows are getting things done the quickest, where things may be getting hung up and how they can be retooled to be even quicker and more effective. A document preview function (currently in beta). We’re always evaluating and upgrading our cloud security because the security of our users’ documents is a top priority. Future upgrades will see a continued effort to keep our document repository security certified and compliant with the requirements of the most rigorous and demanding cybersecurity regulations. Whether you're a longtime customer of SpringCM, or you're just now getting a feel for what a secure, cloud-based contract and document management solution can do to streamline your operation, we're always happy to get your feedback about your document processes. Streamlining complicated document processes is what we do, so we can help you untangle and automate away complexity – and you can help us keep developing the new and creative solutions you need.